The Magic of Setting Bold Goals - Excellent Cultures Inc. The world lost one of its greatest entrepreneurs this past week. 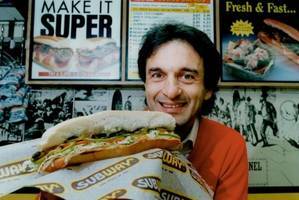 Fred DeLuca, Co-Founder of the Subway Empire passed on September 14th after his battle with Leukemia. The 17-year-old student who opened a “healthy-fare” sandwich shop in Bridgeport, Connecticut, grew the now global chain to over 44,000 locations in 110 countries. After more than three decades of coaching leaders and doing radio interviews, I’ve gotten to meet a few people who really impact you because they stand out head and shoulders above the rest. Fred was one of these amazing business leaders. I’ll never forget my anticipation waiting to have dinner with this billionaire entrepreneur at one of his favorite restaurants in Milford, Connecticut, Subway’s hometown. He was running late due to a meeting delay. Just as I was about to call his assistant to see if I missed the time, Fred himself calls me on my mobile. Apologetically, he let me know that he was running late but that he’d be there soon. My anticipation had me expecting a sparkling black limo or town car driving up with a guy in a cashmere overcoat and meticulously hand-tailored suit. Man was I surprised when this humble guy drives himself up in a well-worn Acura or Lexus (I was so amazed, I didn’t even discern which it was). No cashmere overcoat or expensive handmade suit, just slacks and a sweater. Fred’s persona was the same as his vehicle, humble, not flashy but high quality and extremely solid. Even though at the time he was fighting for his life, you would never have known it. I’ll always remember the sparkle in his eyes and the aura of energy that radiated from his humble grin. His demeanor was much the same. The guy actually listened more than he talked and listened in a manner that made you feel how much he truly cared, not just about what you had to say, but who you were. Over the months that followed before his passing, we had the opportunity to chat a number of times, share a good book and communicate back and forth about a high performance culture project we were working on for the company’s IT Division. Knowing what a busy life Fred had with business as well as his medical procedures, I would text him milestones on the project from time to time not really expecting to hear back. Sometimes, as much as two or three weeks would go by and then from out of nowhere would come a reply text message from Fred acknowledging what I’d sent him earlier that I’d already forgotten about. Whether it was a short “Thanks Steve,” or something longer, it was apparent that he never forgot you and truly cared about his relationship with you. The world’s economy will truly miss this amazing entrepreneur as will those who knew and loved him. 1. Everyone in charge knows their mission. Every successful enterprise has a clearly defined mission statement. How many actually live it? How many have it so clearly understood (not just communicated) that every single team member knows the part that they play and embrace it. Fred was as big on mission as he was about the business of growing his global company to the next level. He knew the importance of making sure that every single team member knew the part that they played and embraced it. He was all about the business of making that happen before he passed on. 2. They are enthusiastic about setting big goals. 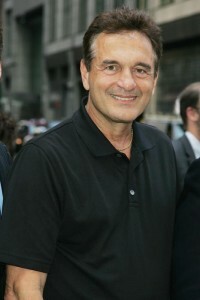 Fred DeLuca wrote the book on setting bold goals without having any idea of how he would ever achieve them. That’s right, this role model entrepreneur didn’t believe in setting realistic goals like we have so often been taught. I’ll never forget his stories about setting goals to have 5,000 and 10,000 stores when Subway was so small most of his team couldn’t even imagine growing from 200 to 1,000 stores. But Fred could. He became famous for not just having these bold goals printed on the napkins at Subway but blowing through them. At the time, most thought this practice was weird or eccentric. Today’s brightest neuroscientists have proven that the human brain is most creative, receptive and effective when it’s focused on exciting stimulation through seemingly impossible goals. While Fred did earn a degree in psychology from the University of Bridgeport in 1971 and an honorary doctorate in 2002, he was a truly a business guy and not a psychologist. Yet this business guy had a deep understanding of the concept of neuroplasticity long before research had proven it. 3. They are open to creative thinking on how to hit those goals. Score one more brilliant concept for this amazing entrepreneur. Recently, neuroscientist Richard J. Davidson’s groundbreaking research on Tibetan Buddhist monks at the University of Wisconsin-Madison has found that years of meditative practice can dramatically increase neuroplasticity — the brain’s ability to use new experiences or environments to create structural changes. While I’m not sure if Dr. Davidson had even completed his undergraduate work in 1974 when Fred started practicing this concept, Fred’s vision for 5,000 stores and then 10,000 was about stimulating creative thinking with his team. This creative thinking awakened amazing innovative and creative strategies. The history of Subway has proven that Fred somehow knew and practiced this. 4. They encourage everyone to work toward these goals and give realistic progress assessments making course corrections when necessary. 5. Contribute ideas on how they can help the company move forward and contribute toward them. If you read any of the interviews that Fred gave over his life span, you’ll quickly note that he practiced this throughout his life leading Subway. In my conversations with Fred about increasing employee engagement and effectiveness, it became very apparent that Fred was both a student of performance psychology and a tried and true business guy. I remember him telling me, “I’ll consider any new idea if there’s a good business case to go with it but I am not really interested in funding ideas where there’s no solid business case.” So many leaders these days get so oversold on employee engagement that they forget that they are running a business. Gallup may disagree, but history has proven that you can have the most engaged workforce on the planet and go bankrupt if you make bad business decisions in the name of engagement or for any other reason. Fred was truly both a brilliant entrepreneur and a very wise and savvy business guy. Fred DeLuca, anyone whose life you touched will truly miss you. Anyone who’s ever eaten one of your great healthy subs or salads will always remember you. Godspeed.